The mainstream education at primary and secondary school all over the world underestimates and overlooks the unique value and contribution of women to society. 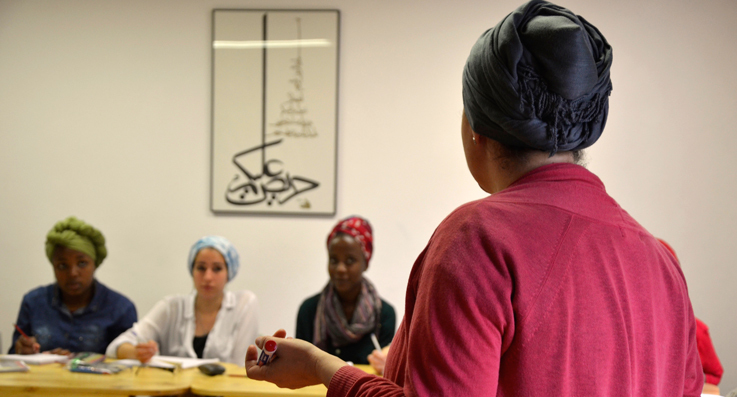 The Lady Aisha College fills this educational void by addressing the differences between men and women with a curriculum that is designed specifically for young Muslim women, that confronts the issues that are important in their lives. By studying the nature of woman it allows the young woman the possibility to recognize within herself and others that which can empower her and that which can hinder her. The college has a unique curriculum which undertakes to transmit a rediscovery of certain aspects of the European intellectual and creative tradition. We aim to engender a discriminative ability in our students so that they may remain fully grounded in the deen of Islam whilst having the discernment to take from the best of Western culture. The College celebrates each student´s unique qualities and emphasizes the possibilities for women to fulfil their potential in their homes and as leaders in their communities and broader society.